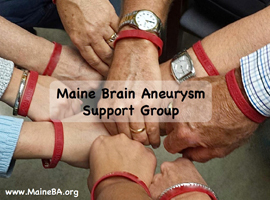 The Maine Brain Aneurysm Support Group offers information, education, encouragement and understanding to all individuals who have been affected by a brain aneurysm. Survivors, family members, caregivers and anyone interested are welcome to attend. The meetings will provide information and education on a variety of topics relating to the treatment and recovery process for both survivors and caregivers. At each meeting, we have a guest speaker that gives short presentations and then open the floor for discussion. The meetings also provide an opportunity for reassurance and personal exchange between survivors and caregivers. Please be aware that these meetings are not held to offer specific medical advice, but to provide peer support and education. This is a great place for you to meet and share with others who have been through similar experiences. Are you a CAREGIVER or FAMILY MEMBER of someone who has suffered from a brain aneurysm? Please read: Ten things Brain Aneurysm Survivors would like family and friends to know. 02/28/19: Open Forum - Welcome New Families. 03/29/18: TED Talk Video: "A Stroke of Insight"
02/22/18: Open Forum on survivor concerns. 01/25/18: Memory Strategies - Dr. Heather McClelland. 12/14/17: Holiday Social, Tortilla Flats, Portland. 9/28/17: Open Forum on survivor concerns. 8/31/17: Open Forum on survivor concerns. 6/29/17: Open Forum on survivor concerns. 4/27/17: Open Forum on survivor concerns. 2/23/17: Open Forum on survivor concerns. 9/29/16: Open Forum on survivor concerns. 6/23/16: Open Forum on survivor concerns. 2/25/16: Open Forum on survivor concerns. 1/28/16: Open group discussion around the topic “10 Things Brain Aneurysm Survivors Would like Family and Friends to Know”. 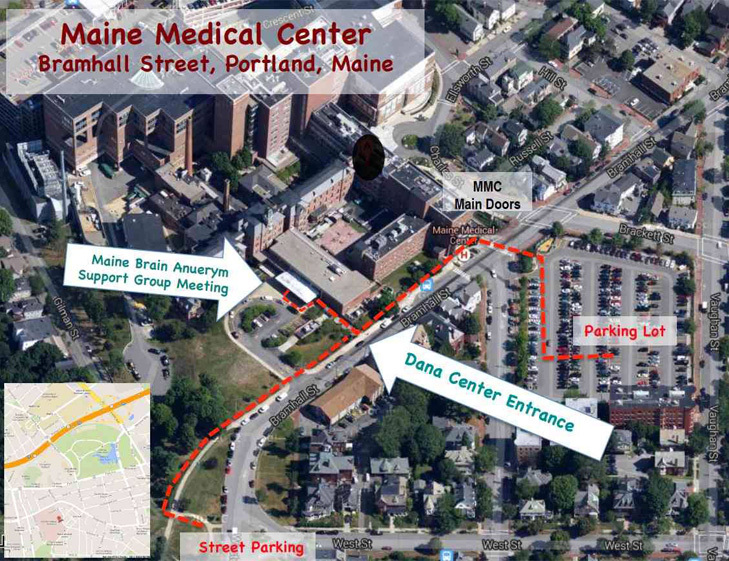 9/25/14: Headache & Meds Research- Elizabth Glisic, Pharm. D.
If you have been recently diagnosed with a brain aneurysm and are now facing treatment. If you are frightened, and want to better understand your condition. If you are a concerned family member who wants to support a relative who has been diagnosed with a brain aneurysm. If you suffered a sudden hemorrhage from a brain aneurysm, underwent treatment, and are going through the recovery process. If a loved one has passed away from a hemorrhaged brain aneurysm, and you want more information about this illness.